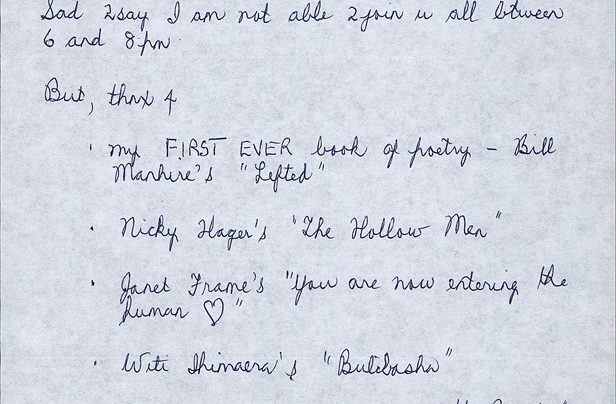 Ivy Kawhe wrote us this lovely letter to congratulate us on Unity Books’ 40th Birthday. 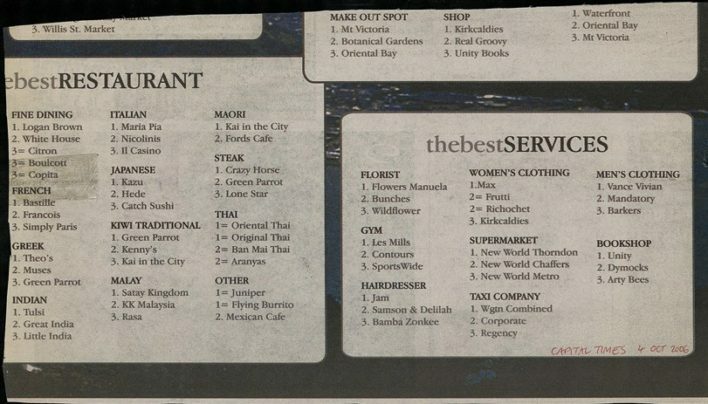 Readers of Capital Times voted us “Best Bookshop”. Our write-up as best bookshop in the Listener. 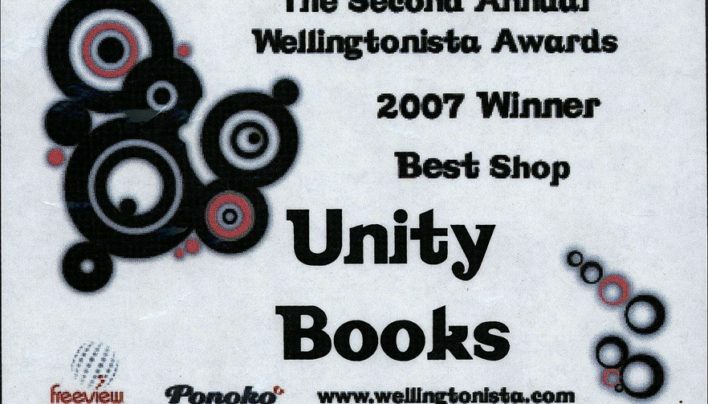 Unity Books was voted Best Shop by readers of the Wellingtonista website in 2007. Readers of Capital Times nominated Unity Books as the Best Bookshop in Wellington for 2006. 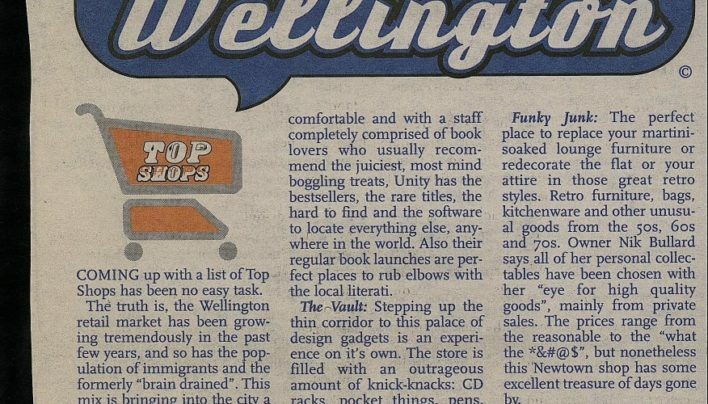 This article in City Voice includes Unity Books in their top five shops to visit in Wellington. 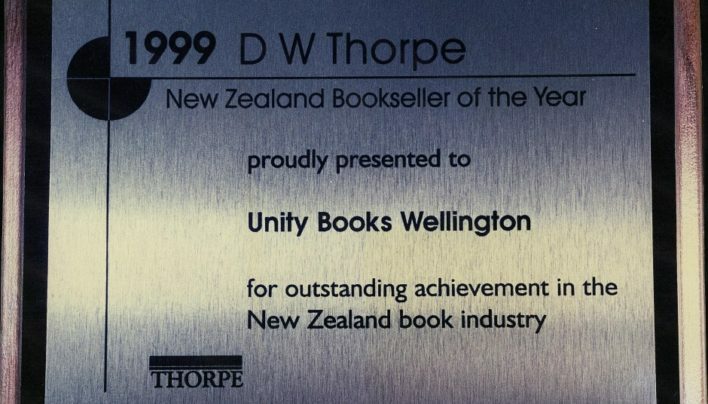 The plaque commemorating our recognition as the D W Thorpe New Zealand Bookseller of the Year 1999. 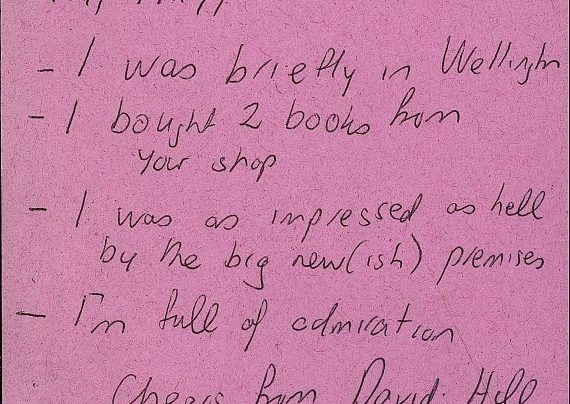 Author David Hill congratulates Tilly Lloyd on the newish premises at 57 Willis Street. 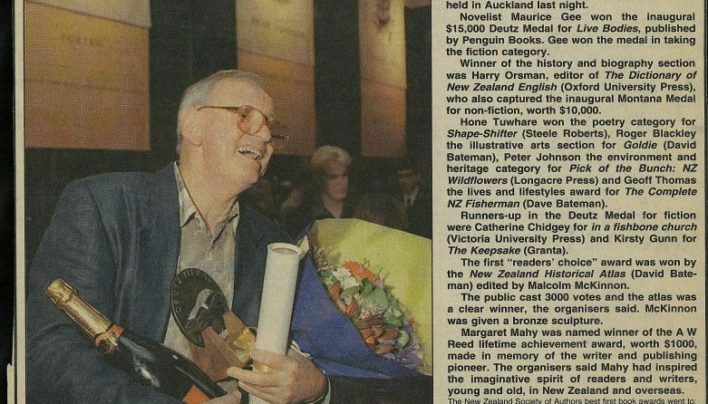 The NZ Herald reports on the 1998 Montana New Zealand Book Awards. 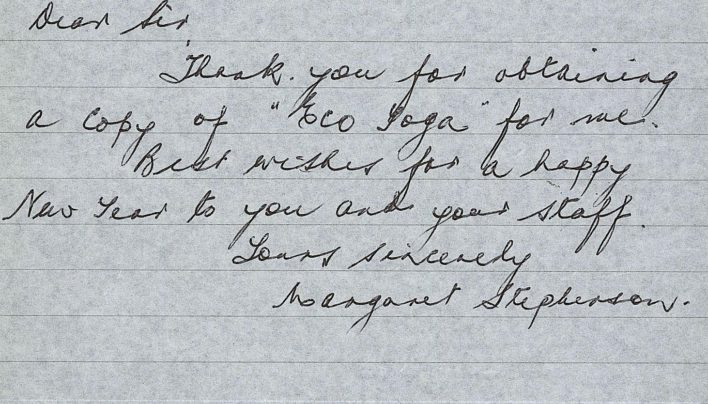 Margaret Stephenson wrote wishing Unity Books staff a Happy New Year and thanking us for an order.